PALAST - What a majestic sound! A band name on which alone one could ponder for ages. However, the three Berliners have not chosen this name to be an allusion to of their music. They recorded their first songs at renowned Funkhaus Berlin, dominated by palatial features, hence the name. The awe-inspiring architecture of said facility, counting A-ha and Sting among its illustrious clientele, had significant impact on the musicians: a sense of sound, space, size, quality, dedication, and the love to experiment. Musically, one might be inclined top place Palast in the eigthties, because they rely solely on genuine vintage synthesizers home ot that era. Authentic e-drums, real guitars. Their contemporaries would reach mostly for plug-ins to create these sounds. Not so PALAST, who love and need this artisan way of electronic music production. ?The handling of this aging equipment constantly provokes new ideas," Sascha Pace, singer and bandleader comments. Said ideas came puring out and manifested themselves in a series of catchy songs such as "Shut The Door", "Tell Me Why" or "Strong", but above all the first single "Mirror Mirror", Sascha?s personal tribute to the fashion world. 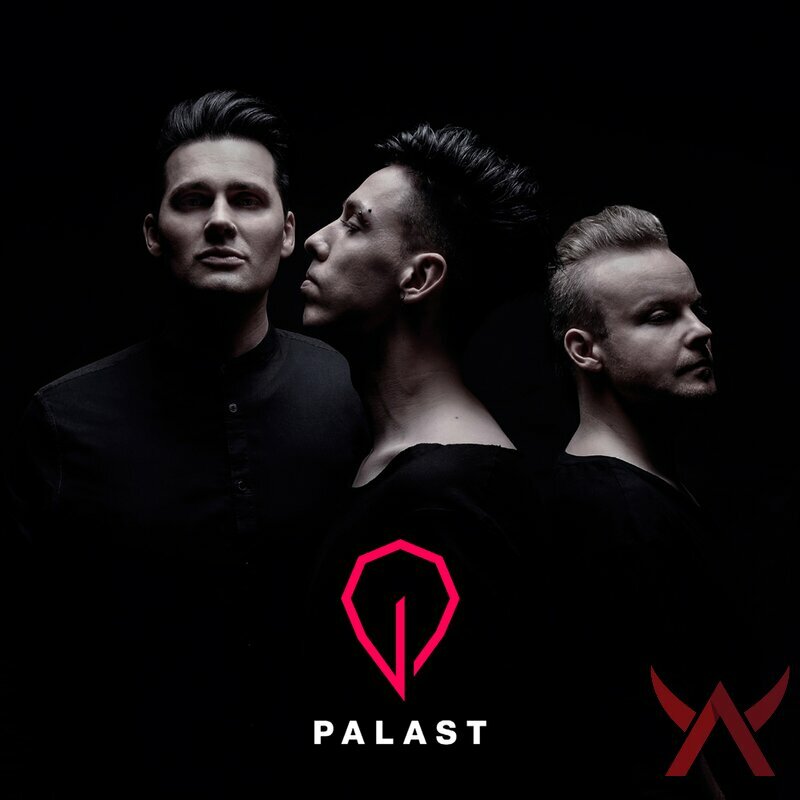 The EP "Hush" released last fall marked the beginning and after less than 6 months construction time the first PALAST is now completed, in the shape of a small, silver disc and fine vinyl. Friends of Hurts, Muse, A-ha, Kraftwek, or Depeche Mode, even 30 Seconds To Mars will get their money's worth here and really should take a closer listen. Addiction is sure to follow. Live on tour supporting MONO INC.